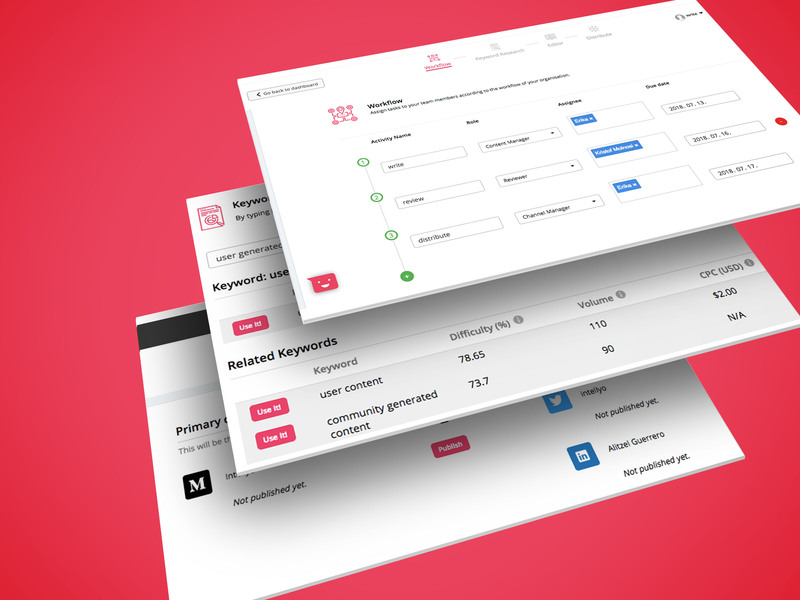 Manage the workflow of your CMS and take control of the process from the very beginning. Our content management workflow allows you to define the roles of the contributors and assign tasks to the members of your organizations. Identify who is involved in the project: project manager, editor, SEO specialist, subject expert, graphic designer, developer, content writer. Navigate to 'Setting' on the left sidebar. Click 'People'and 'Add new member'. Type in the contributor's name and chose their role: 'Administrator, Member or Contributor'. Learn more about roles and licenses. Go to your 'Story dashboard' and start a new story. Find the '+' button at the upper right corner and add an existing member or invite a new one. Now you both have access to the article. Add as many contributors as needed. Write something awesome and publish it on multiple distribution channels.